Our Quality Place aspiration is that the region is a leading attractive, inclusive, and accessible community for arts, culture, recreation, and entertainment. Quality of life is important to attracting a young, talented workforce. A community perceived as rich in diverse culture, can drive economic development and enhance quality of life at the same time. By building and branding the region as an exciting place to live and work, it helps to create jobs across a broad range of talents, generate tax revenues for the region, attract tourists, and develop and retain talent. 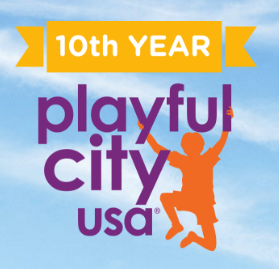 In 2016, Richmond was designated as a Playful City, USA. This designation was awarded to the city by KaBOOM, an organization dedicated to promoting play as a fundamental part of a healthy childhood, and is the result of a partnership between the City’s Department of Parks, Recreation and Community Facilities (PCRF), the Capital Region Collaborative, and Active RVA a program of Sports Backers. The City of Richmond was chosen as a Playful City, USA because of its dedication to a healthier community through its natural resources, partnerships, and innovative programs. With assets such as the James River Park System, PCRF’s CarMax Summer Basketball League, the ARCPark, and the Children’s Museum, Richmond’s opportunities for activity and play are better than ever. The Capital Region Collaborative is proud to support I Am Tourism, an ambassador program that engages, educates and activates members of our community to become knowledgeable and influential representatives of tourism for the region. 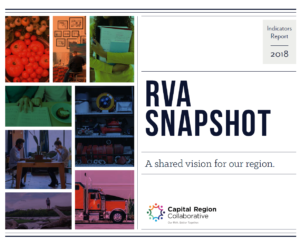 Richmond Region Tourism’s Economic Impact Annual Report provides a summary of the annual revenue generated by tourism to the region.